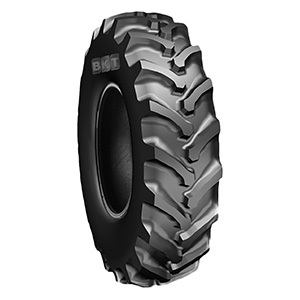 STAR TRAC is the BKT tire for harvesters at cotton farms, which is able to support heavy loads. Thanks to its particularly deep tread design, it ensures both excellent traction in the fields and excellent performance during road transfers. On cotton plantations showing the typical middle-sized shrubs, harvesting demands tire features like excellent flotation and reduced soil compaction. Moreover, the tire is made of a special compound providing high resistance against cuts and typical damages of this application.